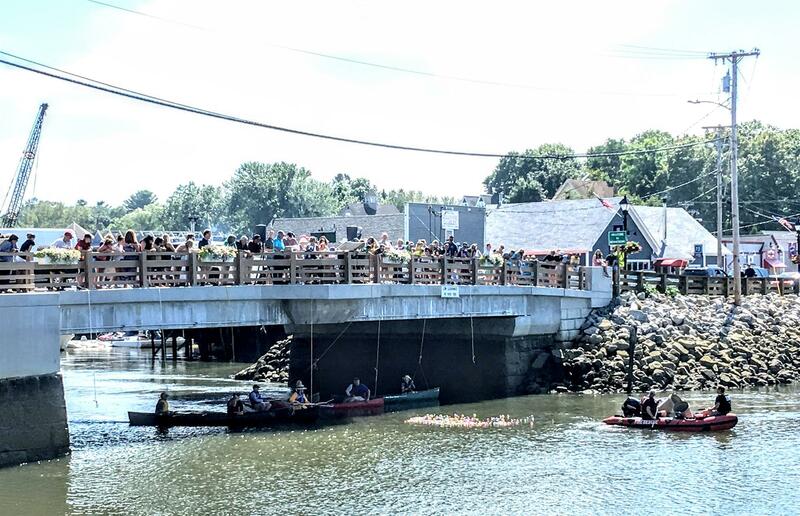 Kennebunk Portside Rotary held its’ 26th Annual Riverfest Duck Race on August 11th. Ducks were sold during the summer weekends at HB Provisions and Bradbury’s Market and Pilot House and this year’s race netted more than $10,000! Kennebunk Portside would like to thank its sponsors. Lead Sponsor and music sponsor was Kennebunk Savings Bank. Gold sponsor was Northeast Credit Union. Silver sponsors were HB Provisions, Jim Godbout Plumbing and Karen Schlegel RE/MAX. There were several Bronze sponsors; J & M Lighting Design, JP Unlimited, Rand Associates, Ted Baker Family, Norway Savings Bank, Duffy's, Hurricanes, Bradburys, Nauticos and Ki Leffler (Coldwell Banker Residential Broker). In addition, thank you Portland Sea Dogs, Trolley Museum, Squaretoes and Compliments for donations for prizes.